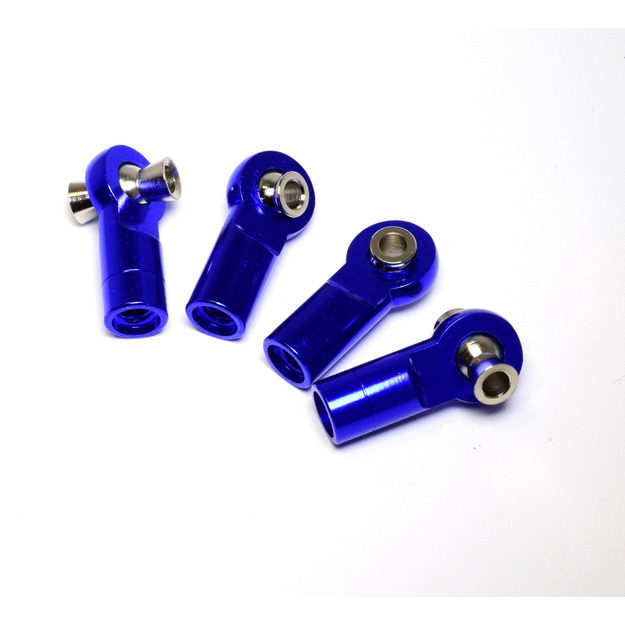 Hot Racing aluminum rod ends with steel balls for Traxxas M4 toe links on Traxxas 1/10 vehicles including the E-Maxx, E-Revo, Nitro Revo, Slayer Pro 4X4, Summit, and T-Maxx 3.3. These rod ends feature left-hand and right-hand M4 threads with two standard and two tall balls. Please refer to the comments below and check your vehicle's manual for part number compatibility.